The first business subscribers connected to the network last summer. Two local hotels anticipated heavy Internet access needs due to the Republican National Convention in August, so the city made a special effort to get them on the network. The RNC was in Cleveland, but attendees were also staying in Fairlawn, about 30 minutes away. Engineers used these two subscribers as "beta customers" to prepare for the official roll out, which began last December. Residential telephone service is also available for $25 per month per line. Rates can only increase if approved by the City Council. 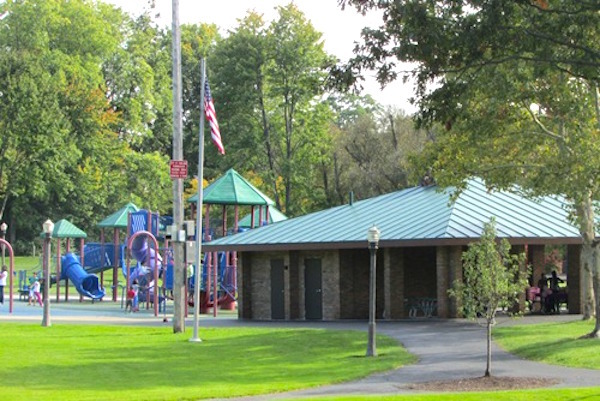 Image of Croghan Park in Fairlawn courtesy of Northwest Ohio Family Fun.